TradeStation recently launched a new ad campaign, touting: “Traders Trade with TradeStation.” So we asked the folks at TradeStation: What is your company doing for the foreign exchange trader in particular, and why do you feel its platform and services make it a wise choice for the experienced and active forex trader? Q-We see a lot of trading platforms scrambling to differentiate themselves; in a nutshell, what is TradeStation’s unique selling proposition? For traders, today’s unpredictable financial markets present unprecedented challenges. Yet the keys to successful trading—focus, discipline, consistency—remain constant. And that’s where TradeStation comes in. TradeStation is committed to offering traders a better experience by giving them the tools, education and support needed to trade with discipline and confidence. With TradeStation, they can develop and execute trading strategies that are based on informed analysis, rather than on emotion, impulse or guesswork. Q-What sort of footprint do you have in Forex? Tell us about Tradestation Ifx- your institutional forex services? TradeStation’s forex offerings – Active Trader and TradeStation Ifx – are designed to provide complete trading solutions for individual and institutional clients at every level. TradeStation Ifx complements the company’s retail forex offering, which enables clients to trade commission-free with tight spreads and fractional pips, and its Active Trader Program, which offers the more serious retail forex traders some of the most competitive pricing in the industry, with spreads as low as 1 pip and no commissions or platform fees. TradeStation Ifx enables professional clients to trade forex using TradeStation’s award-winning platform while accessing institutional levels of market liquidity. TradeStation Ifx combines the TradeStation platform’s advanced analysis capabilities – such as dynamic market scanning and chart pattern-recognition tools – with deep and wide-ranging sources of both bank and non-bank liquidity. Q- Post 2008-2009, what do I need to know about liquidity? The FX markets have seen continuous increases in liquidity over the years, making high-quality sourced liquidity an important factor to consider. As the markets become more intelligent, custom liquidity is in greater demand from clients today. Q-Everything is going mobile, including TradeStation Mobile, can you tell us about developing your mobile-friendly platform and how it is being received? On TradeStation Mobile, our development team is as focused on capabilities, convenience and delivering the innovative features traders demand while on the go. TradeStation Mobile receives 5-star ratings from many of our users and our team is highly attuned to our clients’ reviews and feedback. In addition to basic functionality, our more novel features include interactive charts that have proven to be what users are really looking for. Our next mobile release is set to bring dramatic upgrades, like real-time price and volume alerts. To be sure, the number of trades executed and revenues generated by our mobile apps are increasing every month. Q-Specifically, can you tell us about “Forex in Focus” and who should tune into this weekly webcast? Forex in Focus is a weekly market-commentary webcast on forex markets for anyone who currently trades or is interested in trading forex. It is hosted by well-known forex trader Raghee Horner and features a review of the past week’s action in the forex markets, as well as an outlook for the coming week. Also, we archive all of our webcasts on the TradeStation YouTube channel. Click here for further information or to register for Forex in Focus. 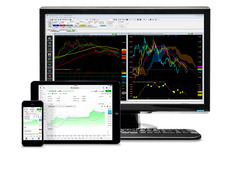 Q-How do FCM 360 and TradeStation work together to provide a seamless trading experience? TradeStation Securities provides cross-connectivity from FCM 360 to TradeStation’s servers at NY4 – this is a valuable product offering that is available at TradeStation through the Quantitative Trading Group (QTG), but is not available at a lot of other firms. This is important for active traders concerned with reducing latency and hosting solutions via FCM 360. For readers wishing more information on the colocation and cross-connectivity combination, contact the Quantitative Trading Group at TradeStation or telephone Richard Sincore, Senior Managing Director-Quantatative Trading Group at: +1-954.652.7480. Is Bitcoin Really a Currency? Bitcoin seminars are appearing regularly at Forex events and this year’s Sibos banking conference, organized by SWIFT in Boston, focused lots of attention on digital currency. Now, with its recent 70% price drop, Bitcoin’s legitimacy as a currency has been called into question. For some answers, we asked Bitcoin Assocaition President Bruce Fenton, for his observations after he attended the January 2015 Bitcoin Conference in Miami. Here are his comments. As my flight home too off, I had a moment to reflect on what life has been like for the Bitcoin community and ecosystem since I attended the previous year’s North American Bitcoin Conference. And what a year it has been! On that January weekend in 2014, we gathered at the Clevelander Hotel in Miami Beach: geeks, techies, students of economics, rebels and generally odd characters. One of the first people I noticed was an entrepreneur named Tony Gallippi who had a handful of employees and a rented Lamborghini painted Bitcoin orange to attract notice of his booth. He was trying to get an early round of funding for a company that would allow businesses to accept Bitcoin for payment and include the option of converting it to cash instantly with no price risk. On day two I noticed the buzz around a speech given by 20-year-old Vitalik Buterin on some of the potential that Blockchain technology offers for his idea known as Etherieum, a technology that enables people to build anything from their own type of alternative coin to smart contracts. That conference, in typical Bitcoin fashion, was off the hook: painted dancing women, wild parties and fast talking deal makers mingled with geeks and people who were curious about this crazy new currency, which had just shot up in value to the $1,000 mark from $10 during the previous year. Since that 2014 Miami conference, Bitcoin has been beat up, battered, declared dead, ridiculed, regulated and surrounded by scams, fraud, hacks and controversy. Simply put, Bitcoin, is a form of digital currency that enables people to instantly move money anywhere in the world without the need of bank or central party or clearing firm. Bitcoin though is not just a currency, it is a protocol: a system that allows any statement of truth to be placed in a public ledger for all the world to see. Ledgers are not revolutionary, it is how our world runs today—on ledgers: everything from proof that you own your home, to having a job to your bank balance is backed by a ledger of some form or another. Bitcoin has a public, distributed ledger at its core that is called the Blockchain, which anyone can see at any time and cannot be changed because it is created through a consensus of numerous independent computers. Because we can both know exactly what is on the Blockchain, while also using cryptography to preserve the privacy of the users, the technology has massive implications. Beyond the currency, the core technology itself has potential applications ranging from insurance to reducing fraud in third-world countries to proving ones land ownership. When we came back to Miami this January 2015, there were more of us and we were far more professional with well-developed teams than last year. There were more serious investors attending and much deeper conversations and presentations. Tony Gallippi, was back, but this time he did not bring an orange sports car. His company, however, has done additional successful rounds of financing, placing it at over $100 million in valuation. Morevoer, his idea to help companies accept Bitcoin has worked pretty well: a month ago Microsoft announced it would become the sixth and largest billion-dollar-plus company to accept the digital currency. Vitalik is now 21 or so, is a far more polished speaker and a known, respected member of the digital currency community. He has attracted dozens of top technical minds, some twice his age, to help him with his project and he has raised $15 million as well. These folks are undaunted by Bitcoin’s recent price drops, wild news and radical swings. Those of us immersed in digital currency appreciate the brainpower and resources being brought to bear on making this technology thrive. Too Many Passwords? Click for the URQUI solution. 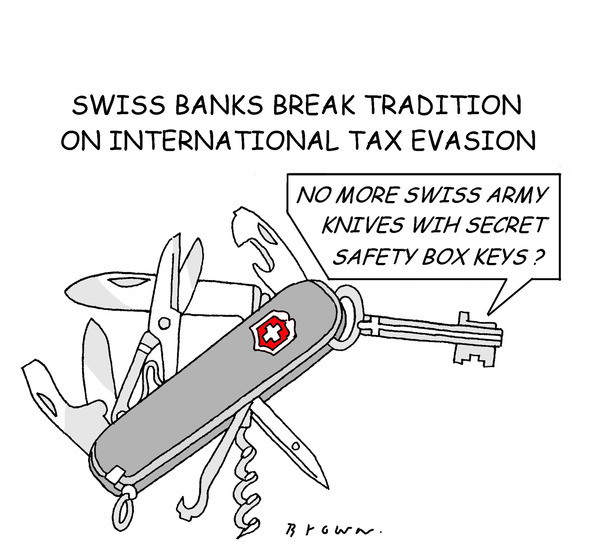 The Swiss National Bank (SNB) stunned markets when it scrapped its three-year-old peg of 1.20 Swiss francs per euro. In a chaotic few minutes after the SNB’s announcement, the Swiss franc soared by around 30 percent in value against the euro before settling back down…for the complete article. Featured speakers will included Thomas Book, CEO of Eurex Clearing, Sunil Cutinho, president of CME Clearing and Timothy Massad, CFTC chairman as 1,000 senior-level executives from top brokerage firms, asset management firms, international exchanges and regulatory bodies convene in Boca Raton, Florida. The event, hosted by the Futures Industry Association runs from March 10-13 at the Boca Raton Resort and Club. Registration. Increase your forex market knowledge with OANDA’s live sessions. Oanda offers valuable content for both novice and experienced traders, as well as courses, called Forward Thinking Traders, for its fxTrade account holders.